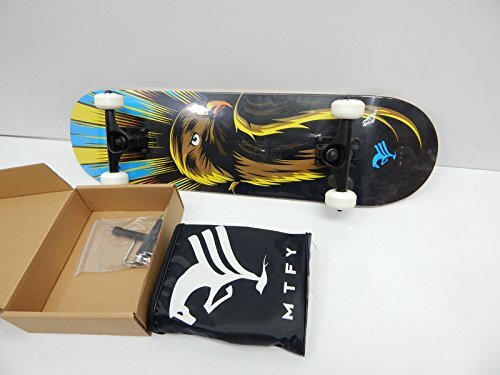 This well-built skateboard is safe to ride and suitable for any level of riders, no matter whether you're a beginner or experienced rider. 4 casters are made of resistant PU for a long-term use, and they are also large and soft to support your skateboarding on different street surface. Smooth wheels for a smooth ride with ABCE-7 bearings to enhanced speed & spins. Skateboard comes with Fully Assembled.